Rossiya, a subsidiary of Aeroflot Group, has started performing C-checks on its own fleet of Airbus narrowbodies after its maintenance wing obtained the relevant clearance, the Russian carrier reports. The airlines’ first in-house C check was performed on an A319 (registration EI-ETO) on October 1-12 this year. 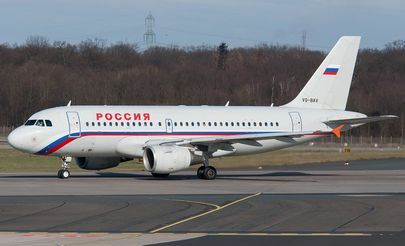 Built in 1995, the airliner had been in service with Rossiya since spring 2012. The carrier says the С1 and С2 сhecks involve both scheduled and unscheduled work. The former consist in a thorough inspection of all components with the use of non-destructive testing. The latter involves addressing any malfunctions detected during the inspection phase. Rossiya’s technical personnel underwent two-year training before receiving their clearance to perform heavy forms of maintenance. The airline has own equipment and facilities for aircraft maintenance and non-destructive testing, as well as and non-destructive control of aircraft structures. It also has cold rooms for storing of honeycomb components and an own component paintshop. Based at St. Petersburg’s Pulkovo, Rossiya operates around 40% of all flights from that airport. According to the Federal Air Transport Agency, the airline’s fleet currently comprises 16 Airbus A319s and 11 A320s. There were three Boeing 767 widebodies as of late June, but the carrier had suspended their operation back in spring. Rossiya ranked sixth in passengers carried in the first nine months of 2015, with nearly 3.9 million passengers served, or 3% down year-on-year.